Medicare health and drug plans can make changes each year—things like cost, coverage, and what providers and pharmacies are in their networks. 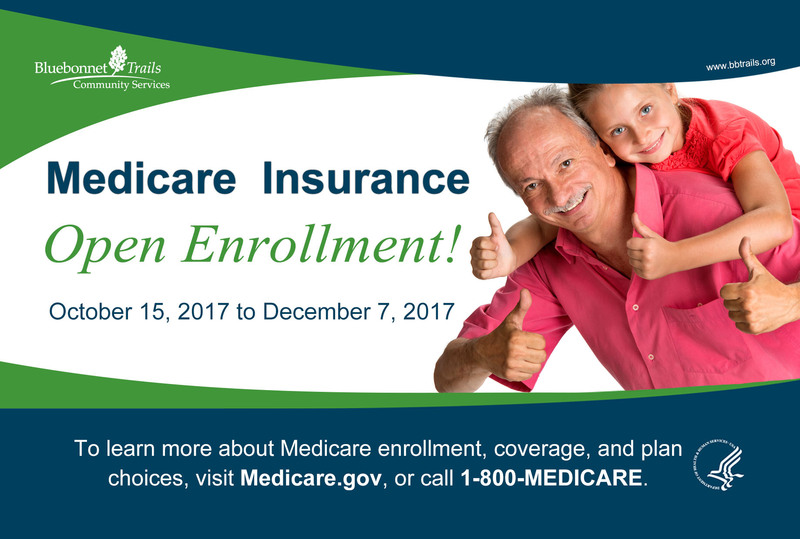 November 1 to December 15 is when all people with Medicare can change their Medicare health plans and prescription drug coverage for the following year to better meet their needs. The Insurance Marketplace is now open. November 1, 2017: Open Enrollment starts — first day you can enroll in a 2017 insurance plan through the Health Insurance Marketplace. 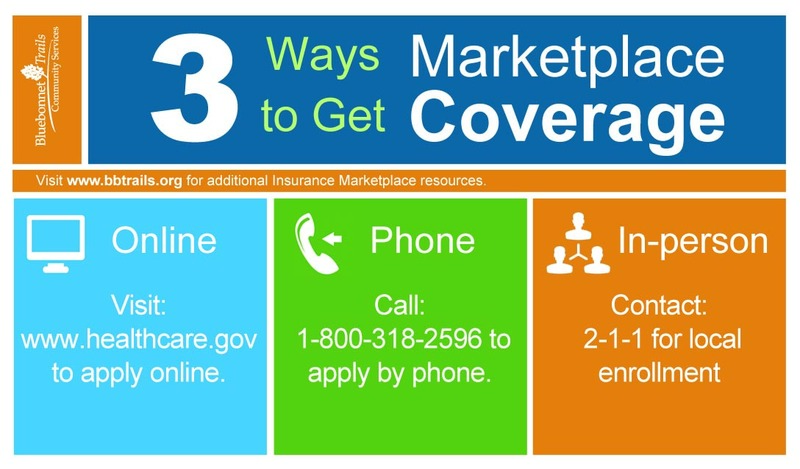 This enrollment year, Bluebonnet Trails Community Services is providing you with helpful resources on where and how to enroll for insurance through the Insurance Marketplace. Look for and compare private health plans. Get answers to questions about your health coverage options. Get a break on costs. Enroll in a health plan that meets your needs. Call: Insurance Marketplace at 1-800-318-2596 to apply by phone. Este año, los servicios de Bluebonnet Trails, está proporcionando recursos sobre la inscripción y cómo inscribirse a través del Mercado de Seguros. Buscar y comparar los planes de salud privados. Obtener respuestas a preguntas acerca de sus opciones de cobertura de salud. Obtener un alevio en los costos. Como inscríbir en un plan de salud que satisfecha sus necesidades. 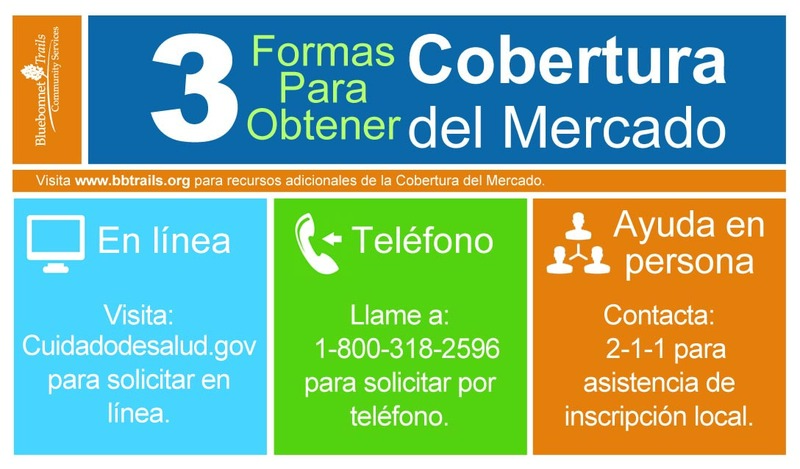 Llame: Seguros del Mercado al 1-800-318-2596 para solicitar por teléfono. Marque al 2-1-1 para asistencia de Inscripción local.